Meet Richard Haven - Paris trained classic barber, wet shave master, luxuriant face balm dispenser, incredible barber, general gents groomer, motorcycle enthusiast - basically, the sort of mans man every man needs in his life. This shoot was for his new website, for which I have shot plenty, before. But now Richard wanted something stylised to reflect the modern, fashion led cuts he now produces for his trend conscious customers. 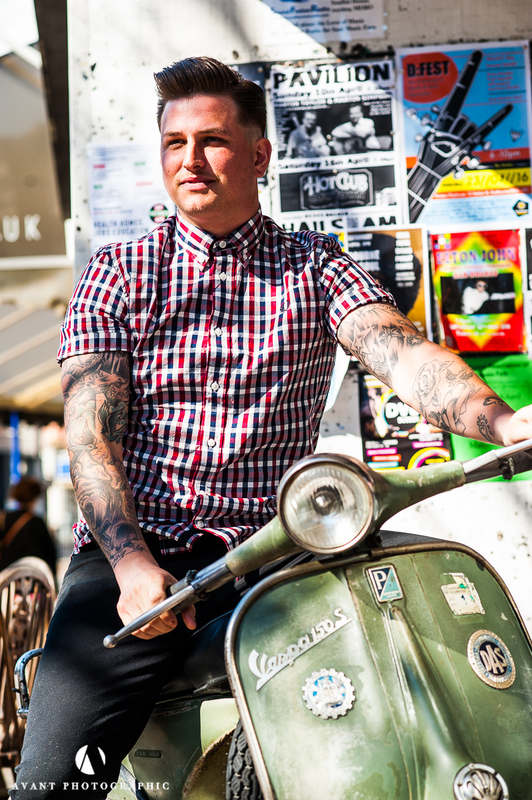 So, we used another customers 1961 Vespa and local clothes shop Arcade as a backdrop - on a very sunny Sunday afternoon.